Sensoria, the Sheffield-based film and music festival, takes off this month with an eclectic line-up that rivals some of the nation’s more established cinematic events. Now in its third year, Sensoria HQ have announced that the Brighton-based British Sea Power will close the festival, playing their soundtrack to Robert J. Flaherty’s 1934 documentary: Man of Aran. The film fictionally documents harsh rural life on Ireland’s west coast and Flaherty’s notorious false recreation has been the subject of much controversy – including a documentary about the documentary, which is included on the DVD of the original. 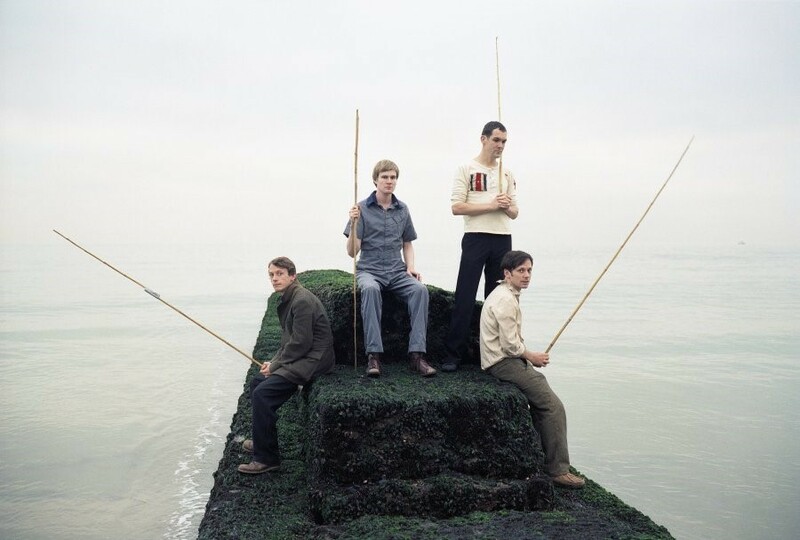 Dazed Digital caught up with British Sea Power to see how the project came about and if indeed the recreation was even relevant to modern criticism. Dazed Digital: How did the opportunity come about for you to do the ‘Man of Aran’ soundtrack? Jan Scott Wilkinson: Originally we were asked to do a live soundtrack as a one off occasion at the Edinburgh film festival in 2008. We then recorded it in a similar live fashion ourselves and word has spread bringing us to all sorts of unusual events round the world where I get to play the cello and am sometimes treated like a proper musician. DD: Were you familiar with the film before you were approached? Jan Scott Wilkinson: A young lady introduced us to the film years before in the back of a van. The photography had always impressed us, as well as the strange combination of comic characters and awe inspiring beautiful scenes and casual approach to danger of the islanders. The original music had somehow dated somewhat to be kind. DD: What do you think about Flaherty staging certain scenes? Jan Scott Wilkinson: It seems fair enough really. Even nature films aren't 100% without human intervention in the telling of their story. Voiceovers, editing, the act of being there filming all distort the natural world in one way or another before its presentation on the screen. I think he was just keeping it entertaining. DD: Are you interested by the relationship between humanity and nature? Jan Scott Wilkinson: I’m not sure...I don’t think they're separate entities in my head. Do you mean people or humanity like an act of supposed kindness? What is the nature of humanity? I don’t think I can answer this or I wont be ready for rehearsal shortly. DD: What’s next for the band? Jan Scott Wilkinson: We have come up with the revolutionary concept in the world of music of releasing another record and playing shows. We are also very excited about our second, and much improved, micro-festival of our own, Sing Ye From The Hillsides! based in the highest pub in England on mayday bank holiday. We’ve got Metronomy, Esben and the Witch, Goldheart Assembly and a classic tractor drive-by against the moors where American Werewolf in London was filmed. Hmmm that last bit sounds made up doesn't it but its actual fact.